The CQC-8 model has long been considered one of the best combat designs that I have ever produced. I agree. The ergonomics and blade design have merged in the knife to form the perfect union. Perfectly balanced in both a forward and reverse grip, the CQC-8 is a battle-hardened veteran that you want at your side. Now with the Emerson “wave shaped feature”, the CQC-8 has evolved to meet the demands of those who need a knife that will protect and serve – Anytime – Anyplace. 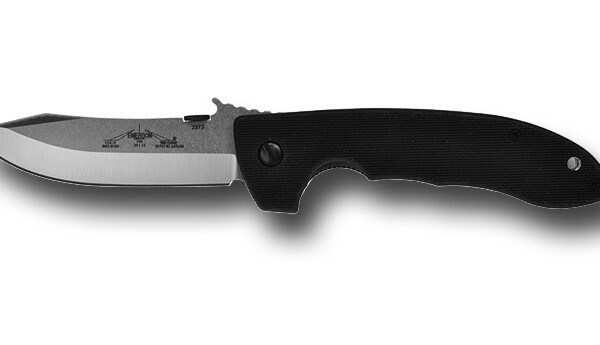 The knife features our Patented “wave shaped opening feature” or Remote Pocket Opener. In an emergency or injury situation the knife can be opened with one hand as it is drawn from the pocket.